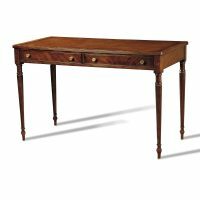 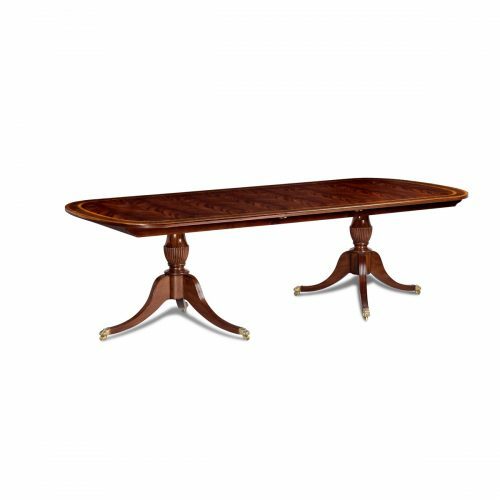 Reproduction of an English mahogany two pedestal, two leaf dining table. 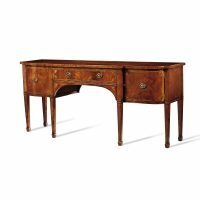 The top has crotch mahogany veneers with walnut and movengue bandings. 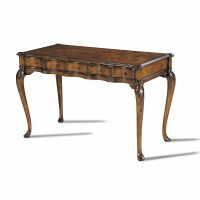 80″ long, 46″ wide, 30″ high. Extends to 140″ with three leaves.